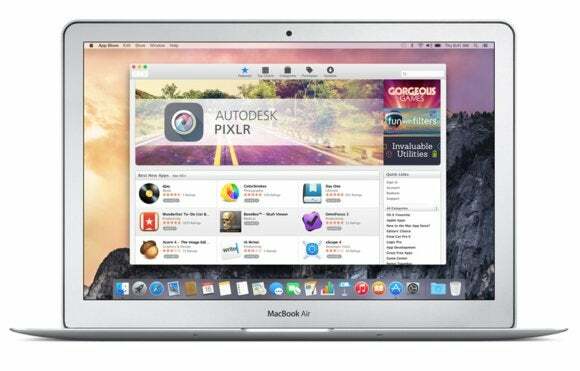 Must-have apps for Mac and iOS device. I spend a good portion of my work week writing and I’ve taken a shine to apps that let me write in plain text with a little Markdown thrown in for formatting. My go-to text editor has been BareBones Software’s BBEdit ($50) (or its free and also excellent sibling TextWrangler, which is available on the App Store) with a little bit of Brett Terpstra’s Marked 2 ($14, available on the App Store) for a pretty preview of my formatted text. BBEdit and Marked 2 are great, but for the last several weeks I’ve been playing with Quote-Unquote Apps’ Highland 2 beta (you can sign up for the beta using the link) and I think I may be in love. + is a basic text editor that makes everything Markdown perfectly simple, from stage plays to articles. Give the beta a go or keep your eye out for the full release sometime early next year. For editing those snaps I use Flying Meat’s Acorn ($30, available on the App Store). Simple but deep, Acorn let’s me make quick work of every image that’s fit to print without spending the big bucks. Not even a question. 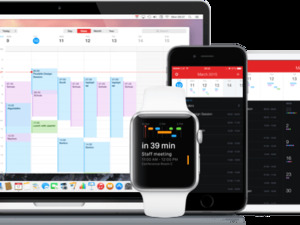 You won’t find a better Calendar for your Mac than FlexiBits’ Fantastical 2 ($30, available on the App Store). It’s great. It’s better than great. It’s the best calendar app I’ve ever used. For more sophisticated notes I’m a true believer in Microsoft’s OneNote (free, available on the App Store), which also allows for collaboration, but offers more sophisticated options for for linking notes and adding rich media and items from the Web. I spend a lot of time on other’s people’s networks figuring out what’s where, whether I can see devices on the network, and discovering which ports are open on those devices. My favorite network scanning app is BananaGlue’s iNet Network Scanner ($12, available on the App Store), which allows me to take instant inventories of everything on my client’s networks. There’s also a $9 iOS version if you want the same features quick and in your pocket. I don’t always write on a Mac and when I don’t I love using my 9.7-inch iPad Pro, 1Writer ($5 on the iTunes Store), and Apple’s Smart Keyboard. I confess, I never liked writing on an iPad until I found this combination, but Apple’s keyboard and 1Writer’s excellent Markdown tools make writing on an iPad as easy as writing on a Mac. Yup! 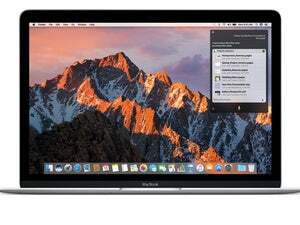 Love this here too for all the reasons that I stated about the macOS version. You won’t find a better calendar app for your iOS device. So, go! Get it! Just 5 bucks! I do not, do not, do not use Apple’s built-in Mail app on my iOS devices. I do on my Mac and I love it. But on my iPhone and iPad I use Microsoft’s free Outlook app. Why? It’s better. Much better. Easily connects to any mail service and calendar, keeps track of attachments, connects to Dropbox, Box, Google Drive, and OneDrive, and makes managing mail a snap. Perfect. I’ve pretty much stepped off of every social media platform with one exception: Twitter. I’d probably step off of that too if Tweetbot ($10 on the iTunes Store) wasn’t as great as it is. Beautifully designed, Tweetbot makes scanning my Twitter timeline an enjoyable experience. Without it I might be off of social media altogether. I drive around a lot and I listen to a ton of podcasts. Tons, I tell you. And I listen to every single one of those using Overcast. (Free with ads, $10 without) There are dozens of things that make Overcast great, but what makes it tops for me is how simple it is to subscribe to new podcasts and share episodes I love with others. It is simply the most beautifully designed podcast app you’ll ever use.